Spring is in the air! Can you feel it? Nature is in full swing ~ flowers are beginning to blossom and birds are starting to sing. Now is the time to release all of the energy that you have been harnessing during the Winter months.Take sometime to get back to your roots, back to nature and embrace this cycle of New Beginnings! 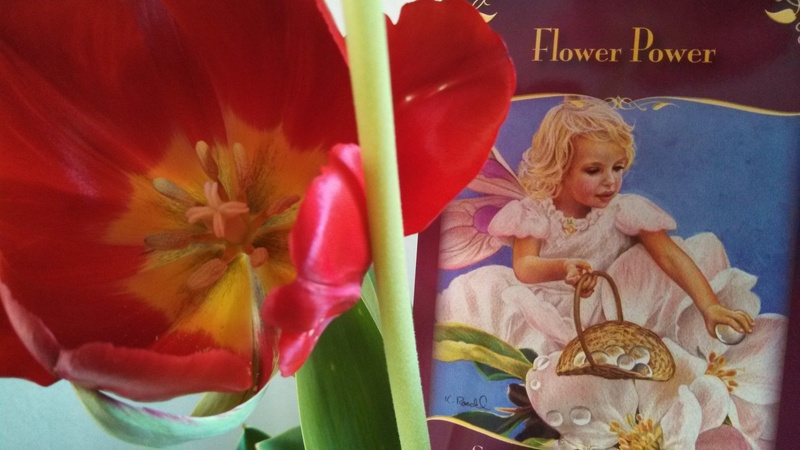 This card signifies that you’ll benefit from the balancing & healing properties of flowers. Spend time in a garden or even a florist’s shop, and surround your home with fresh flowers. As you breathe in the fragrances, feel their magical healing abilities bathing every cell of your body. The fairies also suggest that you purchase (or create your own) pure flower essences.